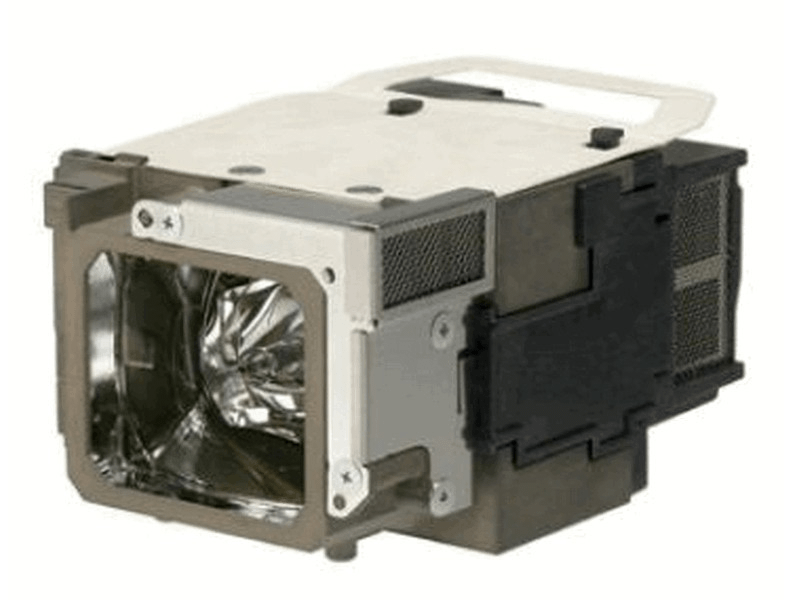 The Powerlite 1761W Epson projector lamp replacement comes with a genuine original 230 watt Osram bulb inside rated at 2,600 Lumens (Same brightness as the original Epson lamp). The Powerlite 1761W replacement lamp has a rated lamp life of 4,000 hours (5,000 hours in Eco mode). Beware of cheaper generic lamp replacements sold elsewhere that have lower lumen output and reduced lamp life. Powerlite 1761W Epson Projector Lamp Replacement. Projector Lamp Assembly with High Quality Genuine Original Osram P-VIP Bulb Inside. Love the fact that this has the Osram bulb which was not easy to find. Very well built and the connectors didn't wobble like the last one we bought on Amazon. Sid right in and lit up nice and bright. We would definitely recommend Pureland Supply for this replacement lamp.